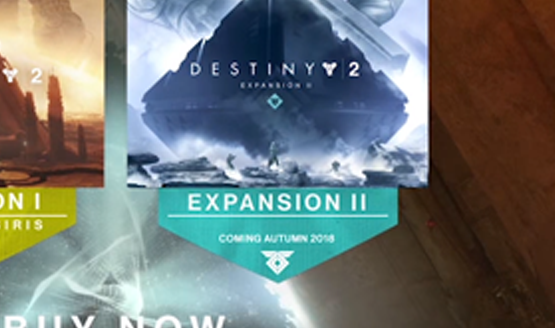 Destiny 2 Expansion 2 Releasing in "Spring 2018"
Update 2: Autumn 2018 was part of the Australian trailer, which is in the other hemisphere where seasons are inverted from those in North America, because Earth is a sphere and that’s how seasons work. Spring 2018 is when Expansion II is slated to release in the US. Update: The “Autumn 2018” window appears to be from the EU version of the trailer, where the US version has Spring 2018 listed for release. We’ve reached out to Activision and Bungie for clarification on the release window for Destiny 2 Expansion II. Original: While excitement may be buzzing around the recently released Curse of Osiris trailer for Destiny 2 (not to mention the release date of December 5 being confirmed), there’s a small little detail about Destiny 2 Expansion 2 at the end of the trailer that may be disappointing for some Guardians. Still unnamed, the banner for the second expansion says “coming Autumn 2018,” which by seasonal standards could put expansion two anywhere between September and December. With Curse of Osiris releasing on December 5 of this year, that’s a long time that Destiny players will be waiting in between content drops. This comes as a disappointment to most Guardians due to how expansions released for Destiny 1. The first expansion pass for that game gave two expansions that released in winter and then spring, with The Taken King being a major expansion released at the year mark. Expansion two is included in the expansion pass for Destiny 2, so many players assume that it will be a smaller content offering. This reveal puts the second expansion releasing in the timeframe that most players assumed we would be getting a larger Taken King styled expansion for Destiny 2. Much of this is conjecture based on past experience with Destiny expansions, so it’s just as likely that this release schedule could be very different from what we’re used to. We do have to take into account seasons, which will be changing the game and adding content, and there is every chance that other smaller content drops will come between Curse of Osiris and expansion two to fill the gap and keep players playing until it releases. The Destiny community is sure to have many theories regarding this release schedule, but as always, we’ll be bringing you the facts as Bungie announces them. This news came out of Paris Games Week 2017, so stay tuned for more news and announcements as the week goes on.